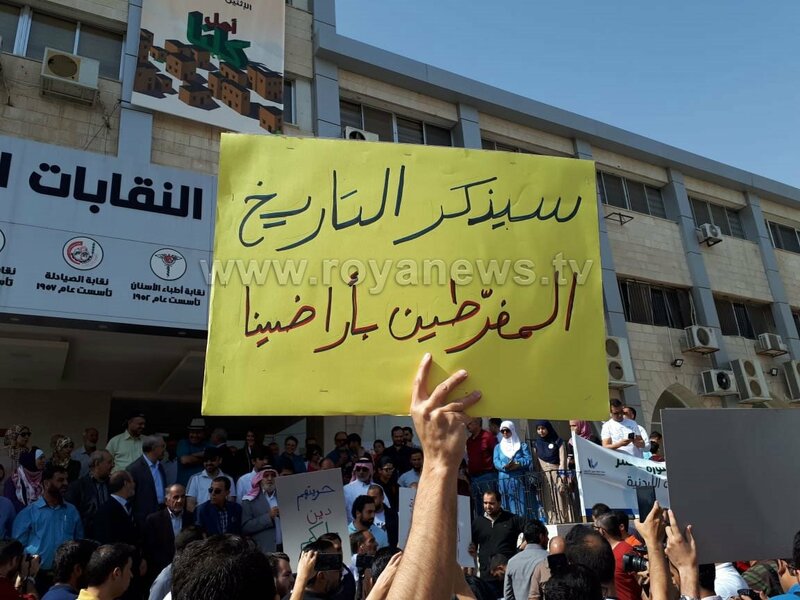 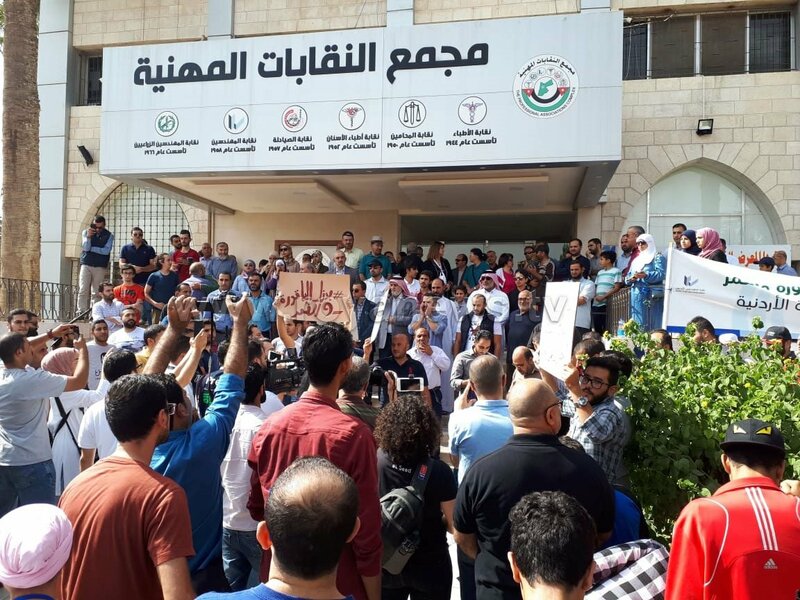 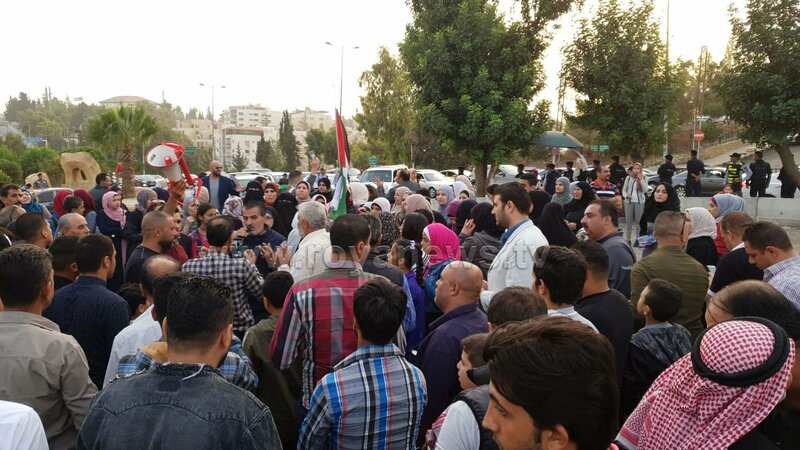 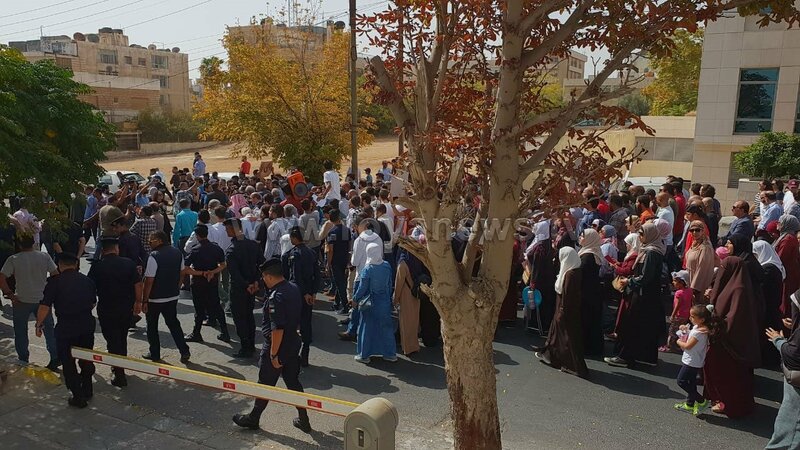 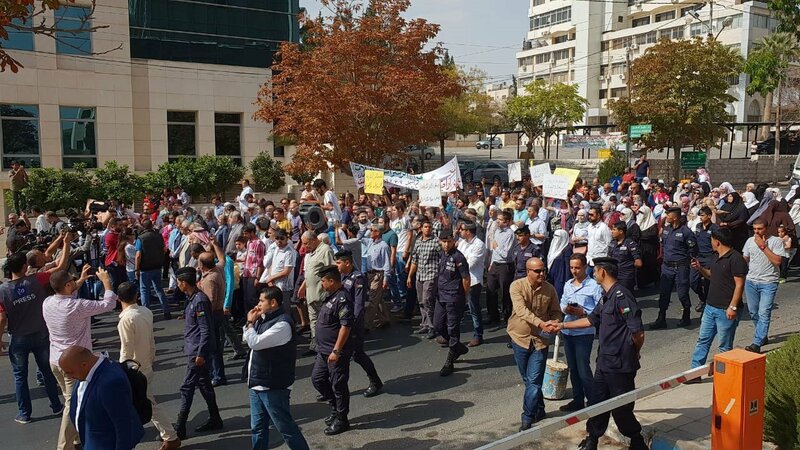 Jordanians held demonstrations on Friday afternoon, October 19, 2018, calling on the government to clarify its stand in reclaiming sovereignty over the Baqoura and Al-Ghamr lands. 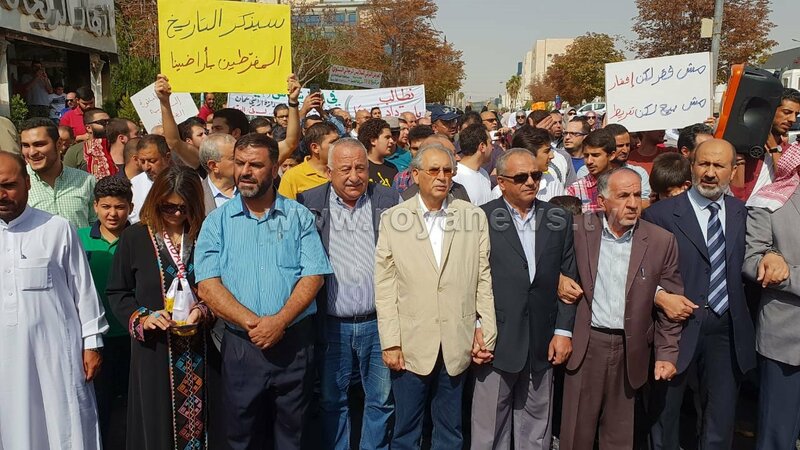 Since the Wadi Araba Treaty agreement, signed in 1994, lands of Baqoura and Al-Ghamr were leased to Israel. 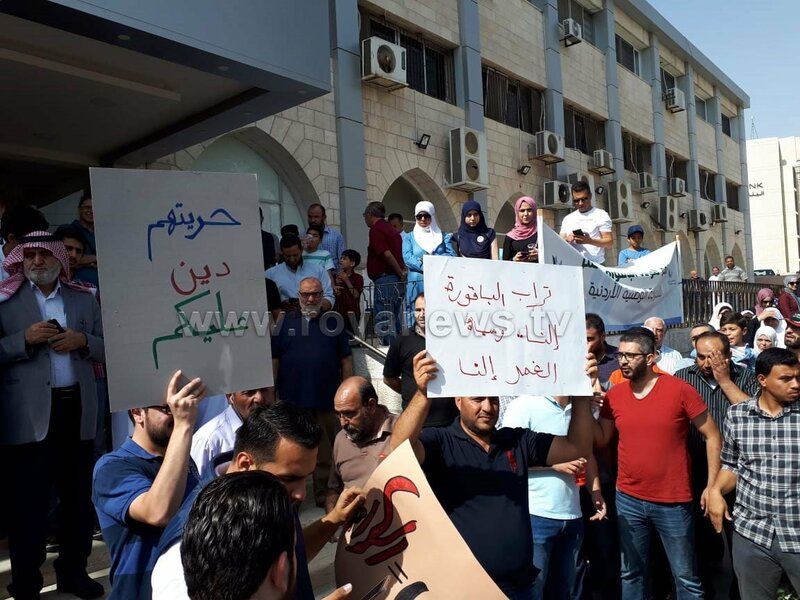 A lot of Jordanian citizens are becoming more concernedabout the government's decision in the renewal of the lease contract, specifically that the contract-deadline is approaching within a week. 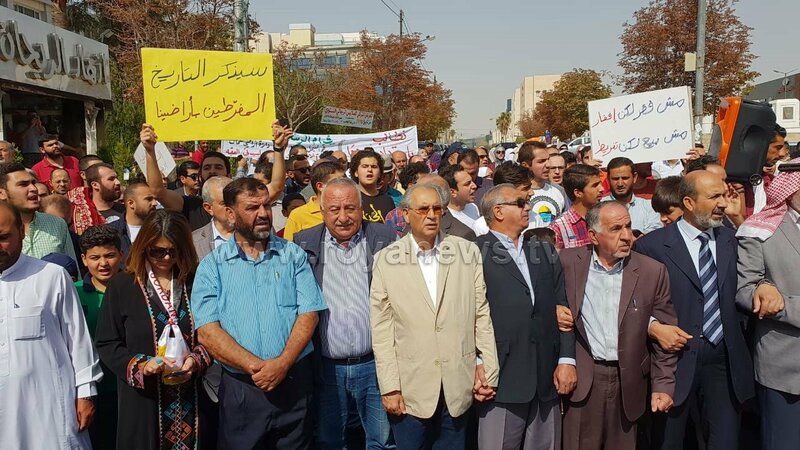 Protesters carried out the march in front of the Trade Union Complex heading towards the Fourth Circle; where scores of citizens gathered waving signs and chanting slogans. 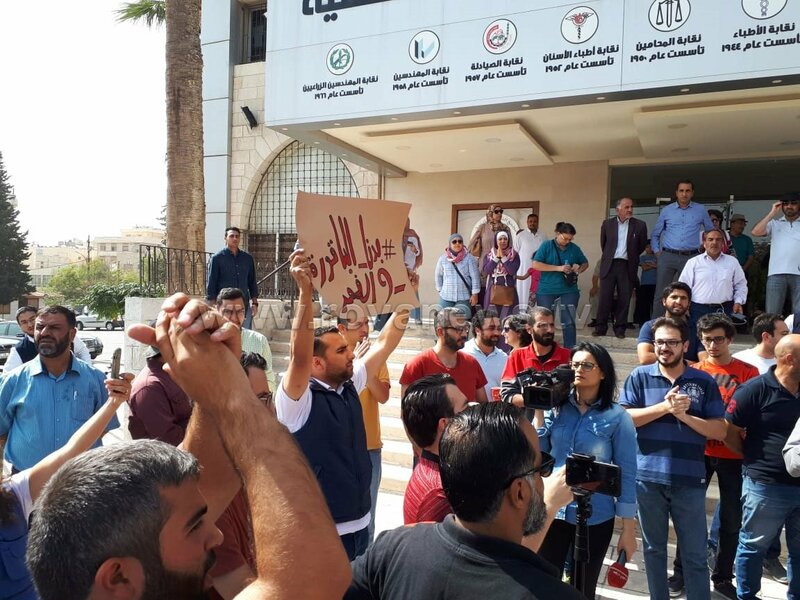 Demands included that the government issues an official statement clarifying its stand regarding the lease-deal, on whether it intends to renew or end the contract, and regarding re-taking control over the lands of Baqoura and Al-Ghamr.